Iran’s Revolutionary Guards set off a predictable flutter on Tuesday when they boasted about their latest testing of ballistic missiles amid military exercises. 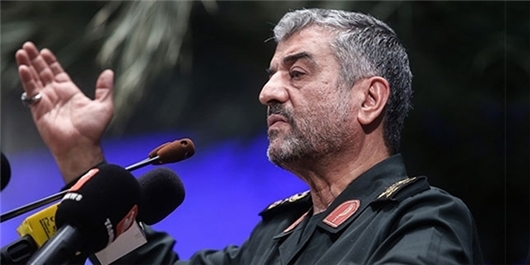 No details were given of the tests, but Guards commander Mohammad Ali Jafari — backed up by State TV and regime-friendly academics — bragged that the Guards’ missiles had deterred the US from attacking and sent “a strong message to Saudi Arabia and Israel”. The Pavlovian reaction soon followed, with France warning that any Iranian testing could violate a UN resolutions, the US saying that it might refer the matter to the Security Council, and American hardliners proclaiming — wrongly — that this exposed the deception of the July 2015 nuclear deal. So is this more serious than the ritual chest-puffing by the Guards and warnings of doom from Iran’s opponents? Probably not — and all the fuss is missing the really important story behind yesterday’s rhetoric.